Tokyo: Former Nissan chief Carlos Ghosn was rearrested early Thursday in Tokyo on fresh financial misconduct allegations, with the auto tycoon slamming his detention as “outrageous and arbitrary”. In the latest update, the Tokyo District Court on Friday said it had approved a request by prosecutors to detain ousted Nissan Motor Co Chairman Carlos Ghosn for 10 days, a move the executive's lawyer said he would appeal. The court said it had approved a detention up until April 14. 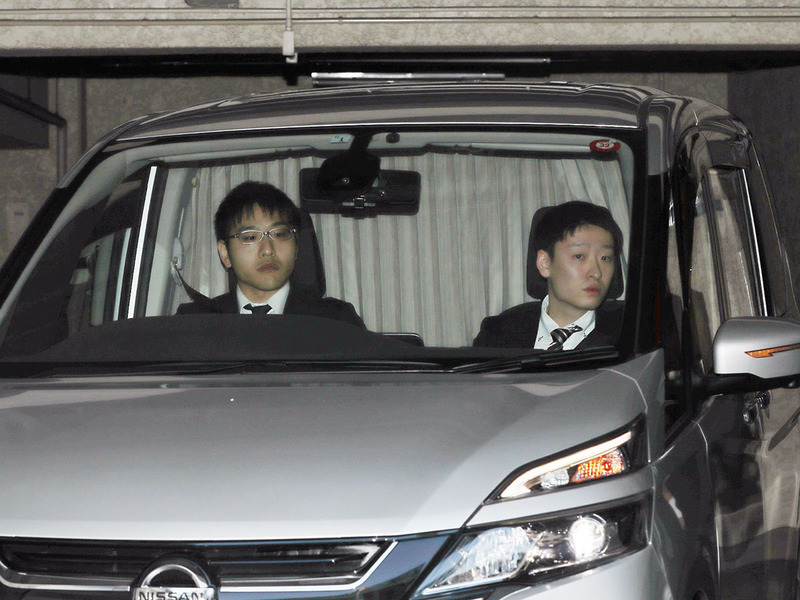 Ghosn's lawyer, Junichiro Hironaka, told reporters the defence team would file an appeal on Friday. The Brazil-born auto sector pioneer, widely credited with saving Nissan from the brink of bankruptcy, also faces a charge of seeking to shift personal investment losses onto Nissan’s books and then using company funds to pay a Saudi associate who stumped up collateral for him. The case has been a rollercoaster ride of unexpected twists and turns from the moment Ghosn was first arrested at a Tokyo airport out of the blue on November 19. He has since been re-arrested on multiple occasions over a series of allegations, employed a little-used article of Japanese law to force a day in court and emerged on bail dressed in a workman’s uniform and cap in a bizarre attempt to avoid the media. Since his release on bail on March 6, he has kept scrupulously quiet despite daily attempts by local and international media to interview him. His lawyer Junichiro Hironaka, known as the “razor” for his mental sharpness, has done the talking for him, appearing twice in front of the foreign media to plead his client’s innocence. In his latest appearance on Tuesday, Hironaka announced he had filed a petition with the Tokyo District Court so that Ghosn’s case would be heard separately from that of Nissan and his former right-hand man Greg Kelly. Nissan has been indicted alongside Ghosn, as they filed the shareholders’ documents that allegedly mis-stated the then chairman’s income. Under Ghosn’s management, Nissan recovered and formed a three-way alliance with Renault and Mitsubishi Motors that has become one of the world’s top-selling auto groups. In an interview with AFP from his detention centre in January, Ghosn denounced a “trap” and a “plot” by Nissan prompted by opposition to his plans to bring the companies closer together. He was removed as chairman by Nissan and Mitsubishi Motors almost immediately after his arrest. Renault was slower to react but Ghosn eventually himself resigned from the head of the French firm. Ghosn’s arrest and a string of alleged financial misconduct has sparked questions over Nissan’s own corporate governance and the company established an independent body to propose changes to prevent a recurrence. The advisory group suggested doing away with the vacant role of chairman and laid the blame for the lapse in governance at the feet of Ghosn. The main cause of the misconduct was “the concentration of authority in Ghosn”, the group concluded.